Oh yes indeed, Christmas is just around the corner! Perhaps you are among those more evolved earthlings that despair at the endless stream of jazzified holiday jingles, and resent the pressure to make merry this time of year. But before you lose yourself in a bitter monologue about the manipulative schemes of Hallmark or Coca-Cola, think of the benefits of the “hap, happiest season of all”… In a word: Bubbles! Sparkling wine flows pretty freely at every office party and holiday get-together through-out the month of December, which should make even the Grinchiest among you smile. For, in my experience, nothing gets people in the festive spirit faster than a glass (or three) of the fizzy stuff. Scientists explain the phenomenon thusly: carbon dioxide bubbles expand when shaken, therefore when they hit the stomach, they fizz, pushing the alcohol rapidly down into the small intestine where it is absorbed. This quickfire process makes us feel intoxicated more quickly than a still wine, whose journey from stomach to intestine is more leisurely. I think it is the combination of this fact, with the glamour and sophistication we attribute to sparkling wine consumption. We picture movie stars on red carpets, rich people on yachts, etc. Whenever I open a bottle of bubbly for guests I am always met with appreciation and enthusiasm for this “special treatment”. The good news (if you are the one supplying the drinks) is that sparkling wine doesn’t necessarily have to cost a fortune. There are a wealth of decent, budget friendly offerings in the 20$ – 40$ range these days. The trick is to pick the premium versions from less prestigious regions, rather than the cheapest Champagne. For the nerdy among you, let me first give a brief overview of how sparkling wine is made, and the regions offering good value. Those that are just looking for a quick recommendation can skip to the bottom. Carbon dioxide (CO2) is a by-product of alcoholic fermentation. Simply put, yeast converts grape sugar into alcohol and CO2. When making still wines, the CO2 is allowed to escape from the tank. In sparkling winemaking, the vessel is sealed, thus trapping the CO2 which dissolves into the wine, creating bubbles. Voila! The most important stylistic difference between the sparkling wines of the world relates to the vessel used for this carbonation process. For quality bubblies, two major methods exist: the “tank method” and the “traditional method”. The tank method (aka Charmat method) has several variants, but in basic terms, the bubbles are created in sealed, pressurized tanks holding large volumes of wine. Once the process is complete, the wine is rapidly bottled to preserve its fresh, fruity character. It is best consumed within a year or two of release. The tank method produces bigger, frothier bubbles that range in intensity from a very soft sparkle (referred to as frizzante in Italy), to slightly firmer, more persistent mousse (as is the case with many Italian spumante wines). These wines are a great option if you prefer a gently bubbly, fruity, light wine. They are generally smooth, easy drinking and often quite low in alcohol. Styles range from bone dry (extra-brut) to quite sweet. The sweetness level is usually indicated on the label. Prosecco: white, citrus & orchard fruit notes, ~11% alcohol, generally spumante, though frizzante styles exist, ranging from quite dry (brut) to semi sweet (dry). *** For best quality, look for Prosecco Superiore DOCG. The traditional method (formerly called the Champagne method) refers to the process of rendering a formerly still wine sparkling, once it is in the bottle. The grapes are initially fermented in a barrel or tank, to yield a dry, still wine. The wine is then bottled, dosed with a measure of sugar and yeast, and then capped. This provokes a second fermentation to occur within the bottle. 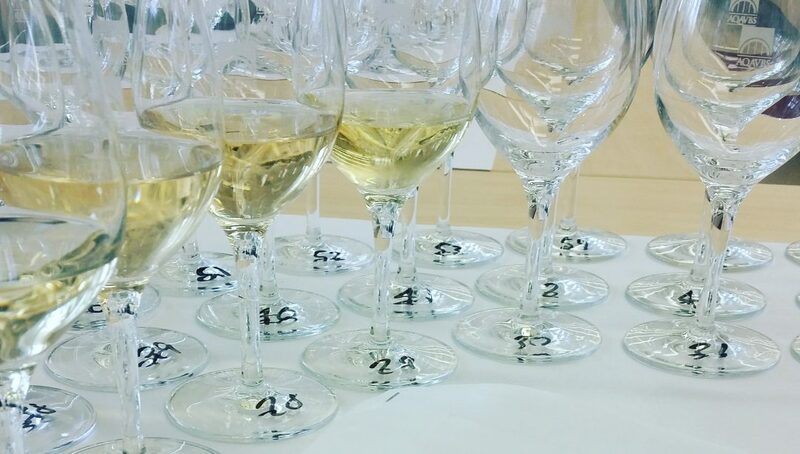 The resultant bubbles, despite being more vigorous, are generally finer (less explosive on the palate) and more persistent than tank method wines. Sparkling wines made in this way are less overtly fruity, but tend to boast more complex aromas and flavours. This is due to quite a complex process which occurs once the yeast cells – spent from their hard work creating alcohol and CO2 from sugar – begin to break-down. Over time, as these “lees” degrade they begin to give off attractive bakery/ patisserie type aromas that range from fresh bread to buttery pastry notes. Value priced traditional method sparkling wines are generally matured on their lees for 9 to 24 months. This time length gives quite a subtle, lees character. Pricier wines can age for many years, gaining in complexity, developing a rich, creamy texture, as well as smaller, more refined bubbles. Traditional method wines can be from a specific vintage (as identified on the label), or “non vintage”, meaning that they are a blend of several different vintages. I will delve into what this means for the wines, stylistically speaking, in part 2 of this article. Champagne: Elegant, complex aromatics & flavours (brioche, orchard fruits, floral, chalky minerality). Racy, and taut in structure. Fine, persistent mousse. ~12% alcohol. Generally quite dry (brut). Crémant: Name for sparkling wines from 7 French regions outside of Champagne. The taste profile depends on the grape variety used, climate, etc. Generally speaking, crémants are similar to Champagne; though a little broader, rounder and fruitier. Cava: Spanish bubbly. Fairly lean, with bracing acidity, and pronounced lemon and apple aromas. 11 – 12% alcohol. Generally dry (brut). 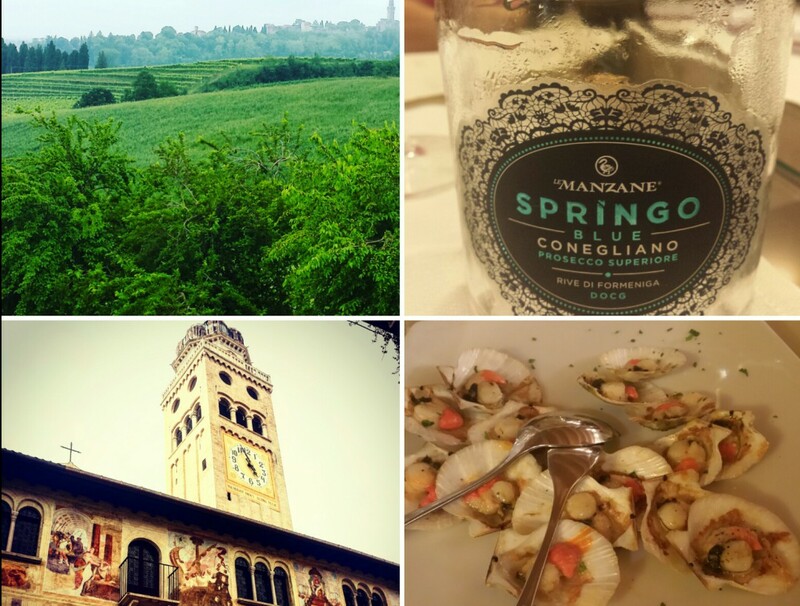 Franciacorta: Italy’s most prestigious bubbly. Mainly Chardonnay, with Pinot Noir and Pinot Blanc. Ripe lemon, peach and floral notes. 18 months’ minimum ageing on lees (30 months for single vintage wines) gives Franciacorta a rich, rounded mid-palate. There are also wonderful bubblies from right here in Canada (Nova Scotia & Niagara notably), as well as California, South Africa (Cap Classique), Tasmania, England, Marlborough (New Zealand) and the list goes on. I will endeavour to write more about these in future posts! The historical variant of producing sparkling wine in bottle, is the ancestral method. It consists of a single fermentation that begins in tank, and finishes in bottle. Classic versions of this wine style are quite cloudy as the sediment is not removed. Gently sparkling, medium sweet, low alcohol wines are still produced in this way in the French regions of Limoux, Bugey, Gaillac and Cerdon. Renewed interest in the ancestral method has come about with the trend toward low interventionist (or “natural”) winemaking. Pétillant naturel (aka “pét nat”) wines are springing up from all corners of the winemaking globe. This style is harder to pin down, as the range is enormous…from murky, sour horror stories to very elegant, fresh, finely sparkling wines that are a delight to drink. If possible, ask to taste the pét nat that your hipster sommelier is trying to push on you, before commiting to a whole bottle! A series of recent tastings of all manners of sparkling wines revealed these budget friendly sparkling wines; perfect for your holiday parties (or for kicking back on a Monday night…if you are a lesser mortal like me who LOVES every cheesy commercial and shopping mall Santa that mark the festive season). Pink Cava. Who knew? And it’s organic! This pretty little number is a Grenache dominant blend with tangy red berry and red apple flavours. Crisp and light bodied, with vibrant bubbles and a clean, dry finish. Not overly complex, but a great every day fizz. Restrained notes of brioche, hazelnut and yellow apples on the nose. Well-delineated, persistent bubbles and crisp acidity set the tempo, and are nicely underscored by a broad, textured mid-palate offering nice depth of flavour. The finish is dry, with lingering hints of orchard fruit and brioche. A solid performer, from one of the major Cava houses. Aromas of yellow fruit and almond feature on the nose. Brisk acidity is ably balanced by a concentrated core of ripe orchard fruit and hints of brioche. Subtly creamy in texture, with a fresh, dry finish and fine, persistent bubbles. This organic, 100% Chardonnay was a favourite for me. Pretty floral and white pear aromas, lovely freshness, and a subtly creamy texture won me over. This dry bubbly is medium bodied, with a broad structure, and a bright, fruity finish. Classic Valdobbiadene profile, with fragrant notes of candied pear and ripe lemon. Hints of anise and white flowers develop upon aeration. Very fresh and light on the palate, with moderate concentration and a fruity, off-dry finish. Overly frothy, foaming bubbles brought this otherwise attractive wine down a couple of points for me. Lovely pale pink in colour, with muted aromas of tart red berries and spice. Incredibly vibrant, with juicy raspberry flavours and just a hint of cream. This dry, Cabernet Franc based wine is light and fresh. Only moderately persistent mousse, but otherwise, very pleasant. I am a fan of the great value sparkling wines from Luxembourg producer Bernard Massard (click here for other reviews). This new, black label Chardonnay is no exception! Intriguing notes of lemon, fresh herbs and orchard fruits feature on the nose. Crisp acidity and fine, persistent mousse frame the palate nicely, with bright fruit and a subtle lees character lingering on the dry finish. Intense aromas of yellow pear, red apple, toast and candied lemon fairly brim over on the nose. Lively and broad on the palate, with lots of body, a sedutively creamy, toasty mid-palate and a lengthy, fruit-laden finish. This dry bubbly is a great value alternative to Champagne, if you like a richer, more opulent style. A certain elegance, and aromatic complexity sets this Cava apart. Nuances of fresh bread, lemon, green apple and white flowers linger long in the glass. The palate is very focused and precise, with laser-like acidity and well-delineated, fine bubbles. (What do VW, PW and LW mean? Click on my wine scoring system to find out). It is becoming increasingly rare (at least in my experience) to have a perfect journey. I mean one where all your flights leave on time, the security lines are short and painless, the immigration people are friendly and your bags make a speedy appearance upon arrival. I feel like this is a good omen for my trip. I arrived in Venice this morning to ominous clouds, but mild spring weather and lush greenery. My colleagues and I were met by a smiling driver who whisked us away and shortly thereafter deposited us at the grandiose, if somewhat dated, Hotel Astoria just outside of Conegliano (pronounced Conelyano). Tonight, the Vino in Villa festival kicks off. The annual event aims to showcase the superior quality of the DOCG Prosecco from the region of Conegliano Valdobbiadene. A smattering of wine journalists from around the globe have been gathered to learn more about the region and its famed bubbly. The goal? To pass on the good word that Prosecco is more than a cheap and cheerful Champagne alternative. Let’s start with the basics… Prosecco is an Italian sparkling wine made throughout the Veneto and neighbouring Friuli Venezia Giulia regions in North Eastern Italy. The principle grape is called Glera. Not a particularly memorable variety for still wines due to a fairly neutral character, Glera is an excellent sparkling base. It boasts lively acidity, and peachy, floral notes. As with many European vineyards, there is a quality hierarchy. The lowest tier is Prosecco DOC, which includes grapes grown anywhere in the two above mentioned regions. This level of Prosecco can be made dry (brut), slightly off-dry (extra dry), or semi sweet (dry)…yes, the nomenclature is confusing! It can also be still, lightly sparkling (frizzante) or fully sparkling (spumante). The spumante style is most common. Above this tier, we get into the Superiore level, to which this week-end pays homage. The official name for this higher quality appellation is: Conegliano Valdobbiadene Prosecco Superiore DOCG (I know, the name just rolls off your tongue, right?). It can only be made in the Treviso province of Veneto on the rolling hills between the towns of Conegliano and Valdobbiadene. It is here that the Glera grape goes beyond simple, peachy fizz to take on real elegance and charm.